Students exposed to more than frosty air with the introduction of a cross country skiing program. In November 2018, Mazeppa Elementary 3rd-6th grade students were introduced to a new program through the support of a Wabasha County SHIP grant when they received “Nordic Rocks” Youth Ski Packages along with in-person training, guidance and curriculum from the company. The school plans to implement the program during the 2018-2019 winter season. Mazeppa Elementary offers new opportunities to increase physical activity throughout the school day. 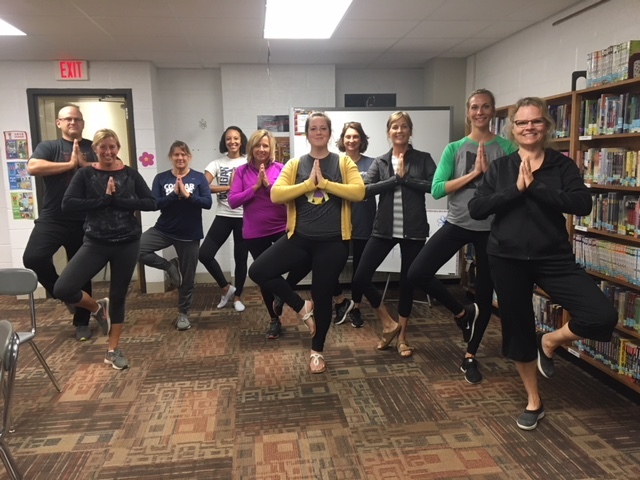 With Wabasha County SHIP support, teachers at Mazeppa Elementary were trained in August to implement Yoga 4 Classrooms within their classrooms during the 2018/2019 school year. Yoga 4 Classrooms is an evidence-based yoga and mindfulness program for schools to promote social, emotional and physical wellness, learning readiness and positive school climate. Opportunities to be active during the school day while students are in classrooms can improve student concentration and attention and reduce disruptive behavior. Another opportunity to increase physical activity will be introduced to students during the 2018/2019 school year with “Nordic Rocks” Youth Ski Packages. The cross country skis have been ordered and are expected to arrive in October 2018 when staff will receive an in-person training on the curriculum to implement the use of these ski packages. Mazeppa Elementary Safe Routes to School project supported by Wabasha County SHIP. 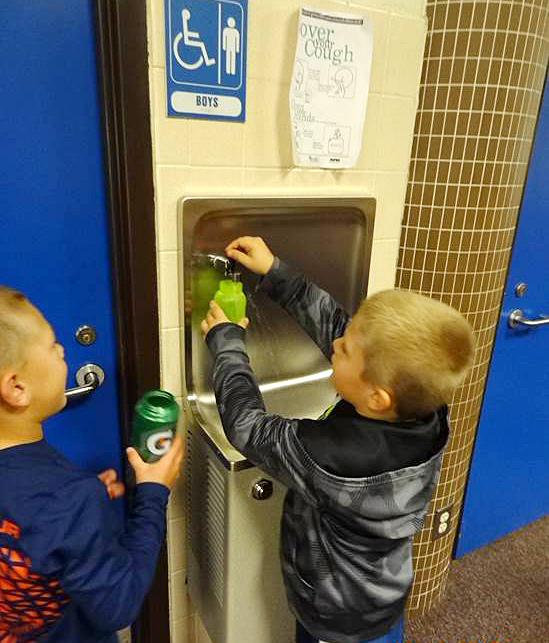 Zumbrota-Mazeppa School District launched a large-scale Safe Routes to School (SRTS) project in September 2016 with the support of Live Well Goodhue County and Wabasha County SHIP. Representatives from the City of Zumbrota, City of Mazeppa, Zumbrota-Mazzeppa School District and community members participated in the Bike Alliance of Minnesota (BikeMN) SRTS Community Training. In April 2017, the school hosted a BikeMN Walk! Bike! Fun! curriculum training and in June 2018, the school received a Minnesota Department of Transportation (MNDOT) SRTS Planning Grant. The MNDOT SRTS Planning grant wrapped up in July 2018 with non-infrastructure and infrastructure recommendations made. The school district has requested funding for Walk, Ride, and Roll flyers which should be available to students, staff and parents in the Fall of 2018. Lake City Public Schools expands its healthy eating initiatives with SHIP support. In April 2018, Lake City Public Schools hosted an open house for its SHIP funded year-round greenhouse. The new greenhouse will result in opportunities to experience healthy foods year-round. This summer, Tiger Time children will grow food themselves and may have the opportunity to learn how to sell them at Lake City's Market by the Lake. The greenhouse garden continues to grow strong and is used as a tool for students to learn where food comes from and why it is important to eat healthy foods. 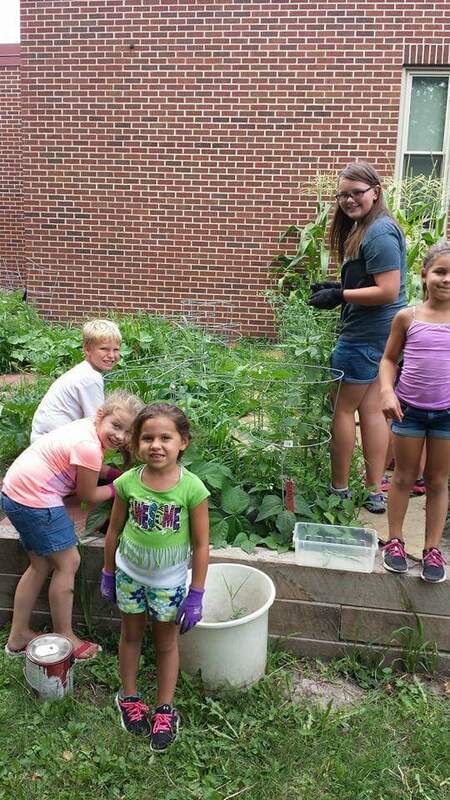 Students have taken stake in the process of growing food and have gained physical activity while pulling weeds, harvesting and carrying produce into the school in baskets. Moving forward, the school will be taking leadership in this innovative year-round greenhouse project. Nikki Beucler, Lincoln High School agriculture teacher, indicated the greenhouse regulates its own temperature with computer controls and this is the type of technology students would use if they went out to get jobs in this field; its great knowledge to have. A greenhouse course will be available to students in the fall. Lunchtime Solutions, the schools food service, has been a big supporter of bringing in farm fresh foods and has offered to purchase the produce at wholesale rates to implement into the lunchroom menus. Lake City Public Schools had already been very committed to SHIP by being involved with our CLT, Worksite Wellness Collaborative and a partner in our School Strategy. The district has committed to the process of completing the School Health Index annually and with that have created aggressive action plans in the areas of healthy eating and physical activity. The district has already put a large focus on healthy eating in their elementary school with a SHIP-supported, school-based agriculture project and with the addition of healthy snack carts. Our collaboration with local champions has resulted in our county being progressive leaders in healthy eating. With CLT’s strong support, two farmers markets have implemented EBT and Power of Produce (POP). Additionally, Farmers’ Market Aggregation projects have resulted in food being distributed to local schools, restaurants, employers, hospitals, and childcare facilities. Together we've realized that we could try bringing the farm to the school year-round. We believe youth need to learn where their food comes from and be involved at all levels of the process to get excited about growing and eating healthy foods. As a strong SHIP partner, the U of MN Extension SE Region recognizes the importance of deep-winter greenhouses and a prototype for the deep-winter greenhouse is at Lake City Catholic Worker Farm in Lake City. The greenhouse will be up and running summer 2018 and they have an existing greenhouse. This local champion, along with U of MN Extension SE Region, are prepared to serve as technical supports to Lincoln High as they move forward with this innovative school-based agriculture project. Wabasha County SHIP Community Leadership Team (CLT) has made the decision to utilize the Minnesota Food Charter in leading activities and targeting innovative advancement in healthy eating change. We have linked this amazing resource into our communications pieces such as our e-newsletter. Through partnerships with strong local champions, we have begun the Wabasha County Food Access Network using the Charter as our guide and meeting quarterly. Lake City School District celebrates their SHIP- supported project and the news travels statewide! We are thankful that Julie Bartkey, communications technical assistant for the Minnesota Dept. of Health, attended the Lake City School District year-round greenhouse grand opening on April 11, 2018. She diligently placed a story into MDH’s Making it Better Log and the story below resulted in statewide coverage. Thank you to all who made this project possible! Wabasha-Kellogg School District enhances their healthy eating program with SHIP support. The Wabasha-Kellogg School District was the recipient of a 2016-2017 SHIP mini-grant. The grant was used to fund the following three items: breakfast cart, food processor, and food warmer/holding unit. Each of the three purchases is used as part of the school lunch program which serves both students and staff. The breakfast cart serves students in preschool – 6th grade, while the other 2 items are used to serve all students, as well as staff members. These items impact both a diverse student population (i.e. our entire student body) and low income groups (i.e. students whose families qualify for free or reduced lunches). A healthy breakfast certainly has a positive influence on a student’s success in the classroom says Kristi Kopp, Tajer Food Services Supervisor; some students do not eat a healthy breakfast at home, and some students do not eat any breakfast at home. The two breakfast carts are used to deliver healthy breakfast choices to preschool – 6th grade students (300 students) each morning. This provides easier access to healthy food, and makes it easier for students to make healthy choices for their breakfast. Each day students are served a variety of fruits and vegetables - some on the main serving line, some in a self-serve line, and some as add-ons for salads. Common fresh vegetables served include carrots, celery, cucumbers, peppers, and radishes. The food processor makes these items easier to prepare, easier to eat, and visually more appealing, which hopefully results in more students choosing to consume them. Food safety is the number one aspect of serving healthy foods, and temperature is one of the main components of food safety. The food warmer keeps foods at the appropriate temperature for serving, and also allows control over how dry or moist foods are kept. Proper temperature and humidity of the food makes them not only safe, but also more appealing, which results in more people wanting to consume the healthy choices that are offered. SHIP strategies include making it “easier to make healthy choices” and “changing environments . . . to allow . . . easier access to healthy food”. The SHIP mini-grant purchases have aided in making both of the strategies more attainable for staff and students at Wabasha-Kellogg schools says Kopp. Prior to completing a grant application for SHIP funds, school districts complete the Alliance for a Healthier Generation Healthy Schools Program (School Health Index) which provides schools access to free guidance, tools and resources to implement healthy policies and practices that improve student performance, attendance and behavior. Mini grant applications were due February 23, 2018. A second round will take place with a deadline to be announced. If you would like information on what it means to partner with Wabasha County SHIP, please email Tina Moen or call her at 651-565-5200. Every once and awhile you are blessed with the opportunity to work with someone extraordinary and that was the case for us over the last two years. As our communities are getting ready to say goodbye to Superintendent Gary Anger, we wanted to recognize him for being an advocate for making our communities healthier. The goal of the Statewide Health Improvement Partnership is to create healthier communities across Minnesota by expanding opportunities for active living, healthy eating and tobacco-free living. Health is created where we live, work, learn and play. Increasing physical activity and nutritious food choices for students and staff in the school setting are two key components. During the last two years, we have worked with Superintendent Anger, the Zumbrota-Mazeppa Wellness Committee and school staff on a variety of projects, including Safe Routes to School, co-hosting the Bike Alliance of Minnesota “Walk! Bike! Fun! Curriculum Training, a school-base agriculture initiative, active classrooms and an employee wellness initiative. 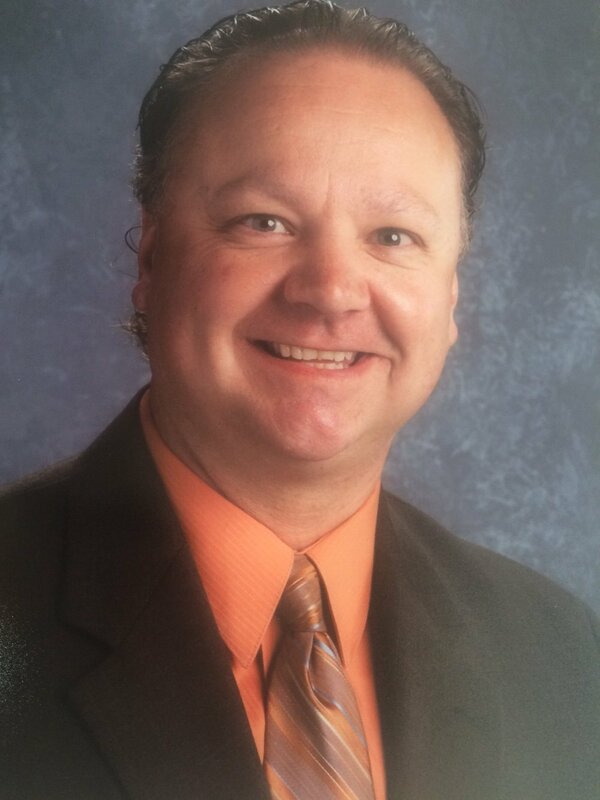 Superintendent Anger joined the Wabasha County Community Leadership Team and was instrumental in ZM receiving the Safe Routes to Planning Grant that was awarded in May 2017. We thank Gary for everything he did and wish him well with this next step in his career. We are also looking forward to continuing our partnership with the school district and helping make Zumbrota and Mazeppa a safe, convenient and appealing place for students, parents, seniors and visitors to walk and bicycle. Congratulations to Zumbrota-Mazeppa Schools for obtaining a Safe Routes to School planning grant! On June 14, the Minnesota Department of Transportation announced the recipients of $250,000 in grants for Safe Routes to School planning assistance. The agency received applications from more than 100 schools and awarded 15 grants to 38 schools. Regional partners were selected from across Minnesota to administer grants in their region. Safe Routes to School is an international program to increase physical activity, improve health and reduce traffic congestion around schools by making it safer and easier for students to walk and bicycle to school. Planning assistance grants provide communities the resources to convene a team, prioritize strategies and identify solutions. Safe Routes to School training held. The Bike Alliance of Minnesota (BikeMN) was invited to train on Safe Routes to School (SRTS) in September 2016. The meeting was attended by David Anderson/Live Well Goodhue County, Jessica Seide, Karl Nahgang, Mazeppa City Administrator, and Gary Anger/Zumbrota-Mazeppa Schools Superintendent. Gary has a lot of experience with SRTS and is willing to serve as a support to other schools in the county in administering SRTS work. A Walking Audit training was held on February 2017 and a meeting was also held in November 2016 to discuss next steps in planning for SRTS in Mazeppa. Partnering with Lake City School District in a grand healthy eating project. The Community-Healthy Eating strategy is not a required SHIP strategy in Wabasha County, but our commitment to healthy eating across all strategies is strong! Our Community Leadership Team has made the decision to utilize the Minnesota Food Charter in leading activities throughout the county and targeting innovative advancement in Community Health Eating PSE change. We have linked this amazing resource into our communications pieces such as our e-newsletter. Through partnership with strong local champions and the use of this guide, we have begun the Wabasha County Food Access Network which meets quarterly. With the CLT’s strong support of the Community Healthy Eating strategy, two farmers markets have implemented EBT while one worked three years toward obtaining a Food Handler’s License for aggregation of fruit and produce at the farmers market. Wabasha-Kellogg School district is an eager recipient of this produce and systems are currently being put in place to deliver food to other Wabasha locations such as Saint Elizabeth’s Medical Center and Wabasha County. Throughout Wabasha County SHIP’s collaboration with local champions resulting in being progressive leaders in healthy eating PSE change, we realized that maybe we could try bringing the farm to the school year-round. Youth need to learn where their food comes from and need to be involved at all levels of the process to get them excited about growing and eating healthy foods. Lake City School District had already been very committed to SHIP as a participant on our CLT, Worksite Wellness Collaborative, and as a School partner. They had committed themselves to the process of completing the School Health Index annually and with that have created aggressive action plans in the areas of healthy eating and physical activity. This school has already put a large focus on healthy eating in their elementary school with a SHIP-supported school-based agriculture project. The garden continues to go strong and is used as a tool from which students can learn where food comes from and why it is important to eat healthy foods. These students, who have taken stake in the process of growing this food, also gain physical activity while pulling weeds, harvesting and carrying the foods into the school in baskets. Many students at the high school level may have missed the opportunity to grow their own food and the school is looking forward to taking leadership in this innovative year-round greenhouse project. A strong SHIP partner, U of MN Extension SE Region, recognizes the importance of deep-winter greenhouses and a prototype for the deep-winter greenhouse is at Lake City Catholic Worker Farm in Lake City. The greenhouse will be up and running this summer and they have an existing greenhouse. This local champion, along with U of MN Extension SE Region, are prepared to serve as technical supports to Lincoln High as they move forward with this innovative school-based agriculture project. Another SHIP community healthy eating partner. Lake City Market by the Lake, has not only stepped up to support Lake City Saturday Market during SHIP 4, but they have indicated they are interested in mentoring students in selling the school’s greenhouse goods at the farmer’s market. What an amazing education in economics for the students. U of MN Extension’s SNAP-Ed Regional Coordinator, Susan Draves, indicated she is impressed with what the school’s agriculture instructor has accomplished over the last 5 years and feels this project is the next logical step in moving the school’s program forward. Lake City School District is planning not only to improve the school’s agriculture program with this project, but the Family and Consumer Sciences (FACS) class is planning to redo their curriculum to include the use of the greenhouse, according to Erick Enger, Superintendent. The FACS department knows the value of having hands-on, real life experiences for their students. Lunchtime Solutions, food service provider, has expressed support in collaborating with the program to enhance the lunch program and has previously worked with SHIP to develop and successfully implement healthy snack carts. The Wabasha County SHIP CLT and other essential Community Healthy Eating champions are in support of increasing our efforts toward further implementing the Minnesota Food Charter through enhancing food infrastructure by investing systems for season extension and creating policies and technologies in supporting year-round agriculture in a school setting and we are excited about the collaboration involved in this effort. Monthly wellness committee meetings have included students, parents, and teachers and now include a time slot for Tina Moen, SHIP coordinator to talk. The district is working on a SHIP school healthy eating grant. Rita Young involved in SHIP activities. School board member Rita Young has joined Marcia Schultz to be actively involved in SHIP activities. She has joined our Food Access Network and our Worksite Wellness Coalition and is campaigning strong for her school. Rita is willing to help other schools be part of Fuel Up to Play 60. Thank you Rita for joining our efforts!